Once being admitted to the University of Florida and to a given College of Education program, the next step for many is to secure funding. Depending on whether a student is at the undergraduate or graduate level, there are several choices available. There are a number of scholarships for which students at all levels can apply, as well as federal grants and work opportunities. For graduate students, they may consider fellowships, grants and assistantships. Employment outside the University is another option to consider. Depending on your need, we can assist in getting you started. Please email us at scholarships@coe.ufl.edu or call 352.273.4376. The University of Florida College of Education offers a yearly scholarship program in which both undergraduate and graduate students are eligible to apply to be considered for over 75 different scholarships. For the 2017-2018 academic year, the College of Education will awarded $431,450 in scholarships and 137 separate awards to its students through its annual scholarship program. Please find more information about the College of Education annual scholarship program including application instructions. The University of Florida offers additional scholarships external to the College of Education. 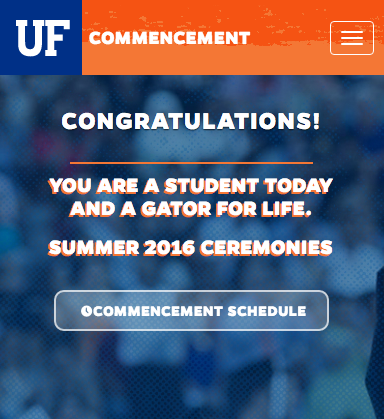 For a list of these scholarships, please visit the University of Florida Foundation website. The Florida Fund for Minority Teachers (FFMT): The Florida Fund for Minority Teachers, Inc. administers the state-wide Minority Teacher Education Scholarship (MTES). This scholarship is available to newly admitted minority students in the college. The University of Florida offers a number of fellowships to graduate students. –Graduate School Fellowship The most prestigious graduate student award provided by the Graduate School. All entering Ph.D. students are eligible to apply. This fellowship provides 4 years of support. There are currently over 40 fellows. –McKnight Doctoral Fellowship This fellowship is designed to increase the number of African-American and Hispanic faculty in the state of Florida. –Florida A&M University (FAMU) Feeder Program This program is designed to increase the number of FAMU students in graduate programs. –Grinter Fellowship Program Open to students entering a Ph.D. program. For additional information regarding graduate fellowships, please visit the Graduate School website. -An application for University of Florida Graduate School Fellowships is also available. -For a list of fellowships available to minority students enrolled in University of Florida Graduate programs, please visit the University of Florida Office of Minority Programs website. The U.S. Department of Education offers the Teacher Education Assistance for College and Higher Education (TEACH) Grant to help pay for college for individuals who plan to become teachers in a high-need field in a low-income area. Please find more information about the TEACH Grant on the Federal Student Aid website. -The Teacher Loan Forgiveness Program is a program offered by the U.S. Department of Education that encourages teachers to teach in high-needs schools by making them eligible for forgiveness of up to $17,500 of their Federal Direct Loans. To be eligible, you must teach for five consecutive, complete academic years in a school that is either eligible for funds under Title I of the Elementary and Secondary Education Act of 1965 or be classified as a high-needs school by the No Child Left Behind Act. Please find more information about teacher loan forgiveness programs on the U.S. Department of Education’s website. For a list of funding resources available to international graduate students attending the University of Florida, please visit the UF International Student Services website. –Dissertation Completion Awards – College of Education students are eligible to apply for dissertation completion awards that are offered by the UF Graduate School. These awards typically include a stipend as well as up to 3 credit hours of in-state tuition and fee assistance. For more information, please visit the UF Graduate School website. 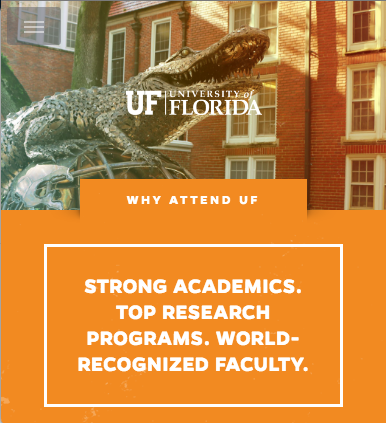 –Travel awards – The UF Graduate School offers assistance for graduate students to conduct research away from UF or to present their research at conferences. 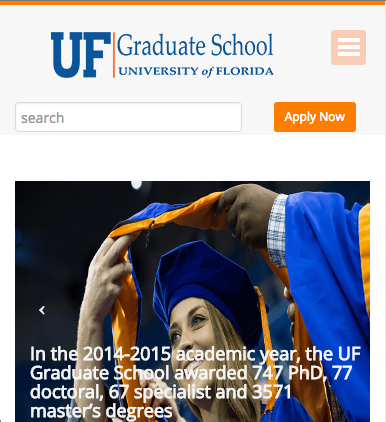 Please visit the UF Graduate School website for more information. Doctoral and masters students are eligible to apply for assistantships in the College of Education. Teaching assistantships and research assistantships are awarded on a competitive basis. Doctoral students with excellent academic records generally are considered first for these positions. Assistantships in other colleges on the UF campus are available as well. For more information about these opportunities, please visit the UF Graduate School website. You may wish to contact the college directly in which you have an interest in pursuing a graduate assistantship to identify potential opportunities. 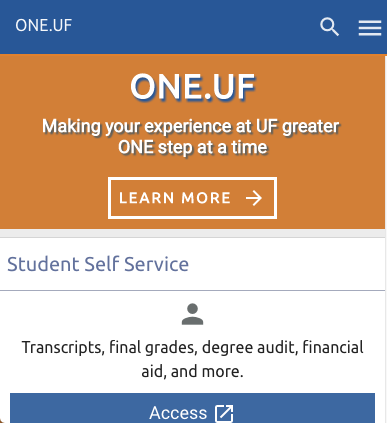 For information about sources of financial aid available at UF, including how to apply for Federal student loans, please visit the UF Student Financial Affairs website and the UF Handbook of Financial Aid. University of Florida College of Education students often gain valuable experience and supplement their financial aid packages through external employment opportunities. For a listing of current external employment opportunities relevant to COE students, please browse the weekly College of Education student newsletter. One of the benefits of employment with the University of Florida or state agencies is the opportunity to enroll in coursework through this program. Please note that not all courses and fees are covered. Here is a general checklist to review.